Are you looking to outsource? Are you a Governing Council, independent or private school considering outsourcing? Happy Haven OSHC is happy to help! We are able to assist you in whatever way you need - be it giving advice, meeting with Governing Council / principals, inviting you to visit one of our sites or providing a quote. Choosing to outsource and selecting an organisation that suits your school community's needs and values is an important decision that requires careful consideration. Ensuring you are comfortable with the company you outsource to is essential! 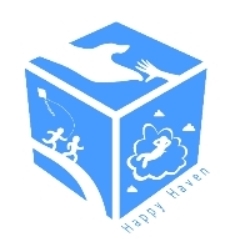 So... why pick Happy Haven? We are an emerging small business, entirely South Australian based and operated, with strong community ties in the Northern Suburbs of Adelaide (although we can also service the Western and Eastern Suburbs, Metropolitan Adelaide and the Barossa/Lower Light region). Our company's leadership team spent years working in OSHC services run by school Governing Councils, and continue to be heavily involved in the hands on aspects of OSHC (for more on Company Directors Jamie Hutchison and Nick Smith click here). We are in touch with current day-to-day factors in ensuring the OSHC program at your school will engage and educate your children. We strongly believe children in OSHC should feel a high sense of security, inclusiveness and involvement in the community feel our service will provide. You just need to take a look at one of our Vacation Care programs to know kids in a Happy Haven run OSHC service will have the time of their lives! Every aspect of our program is compliant with the National Quality Framework, and is carried out by our enthusiastic and passionate educational professionals who are highly skilled across a number of key areas, including, but not limited to - working with children with additional needs, guiding children's behaviour and facilitating development of essential life skills, implementing programs in line with My Time, Our Place and Early Years Learning Frameworks, and building quality relationships where each child's strengths, interests, abilities and developmental needs are recognised and catered for. The best way to see if Happy Haven OSHC is right for your school community is to meet with the Company Directors! You can speak directly with Happy Haven OSHC's Co-Directors, Jamie Hutchison and Nick Smith by submitting a contact form.